The Georgia attorney general's office will no longer represent state election officials in an elections integrity lawsuit in which a crucial computer server was quietly wiped clean three days after the suit was filed, The Associated Press has learned. The lawsuit aims to force Georgia to retire its antiquated and heavily criticized touchscreen election technology, which does not provide an auditable paper trail. 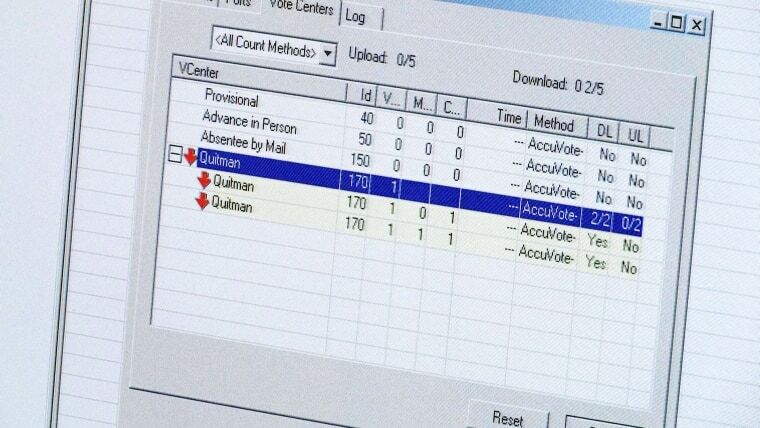 The server in question was a statewide staging location for key election-related data. It made national headlines in June after a security expert disclosed a gaping security hole that wasn't fixed for six months after he first reported it to election authorities. Personal data was exposed for Georgia's 6.7 million voters, as were passwords used by county officials to access files. The assistant state attorney general handling the case, Cristina Correia, notified the court and participating attorneys Wednesday that her office was withdrawing from the case, according to an email obtained by the AP. Spokeswoman Katelyn McCreary offered no explanation and said she couldn't comment "on pending matters." Secretary of State Brian Kemp released a statement Wednesday saying the law firm of former Georgia Gov. Roy Barnes will represent Kemp and other state election officials. It did not say whether the state would pay Barnes' firm. Both Kemp and state Attorney General Chris Carr are Republicans. Barnes is a Democrat. "Governor Barnes and I don't see eye to eye on everything, but he will be a zealous advocate for the State Election Board and the Secretary of State to show that these claims are baseless," Kemp's statement said. "We look forward to working with him as we continue to provide secure elections in Georgia." The server's data was destroyed July 7 by technicians at the Center for Elections Systems at Kennesaw State University, which runs the state's election system, Correia had previously informed attorneys in the case. Kemp, who is running for governor in 2018, has denied ordering the data destruction or knowing about it in advance. His office's general counsel issued a two-page report on Monday claiming Kennesaw State officials followed "standard IT practices" in wiping the server that "were not undertaken to delete evidence." In its initial statement on the server wiping on Oct. 26, Kemp's office called KSU's wiping of the server reckless, inexcusable and inept. The report says "current indications are" that the FBI retains an image of the server that it made in March when it investigated the security hole. The FBI has not responded to AP inquiries on whether it still has that image or has performed a forensic examination to determine whether data on the server might have been altered by hackers. "There have been multiple conflicting stories of how and when the evidence on the servers was destroyed," she said.